Kong: Skull Island filmed all over the island of Oahu, including Kualoa Ranch. The location inquiries started in November of 2014 by veteran location manager Ilt Jones. An unnamed project was interested in jungles. 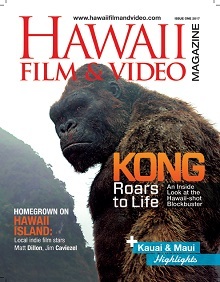 It sounded innocuous enough… Little did we know at that time that Kong: Skull Island, one of the most significant projects to come to the state in a decade, would choose to do the majority of their filming on Oahu. Location manager Ilt Jones on location at Kualoa Ranch. Kong: Skull Island, which will be released worldwide in 2017 by Warner Bros. Pictures and Legendary Pictures, reimagines the origin of the iconic King of the Apes in a compelling, original adventure from director Jordan Vogt-Roberts (Kings of Summer). In the film, a diverse team of explorers is brought together to venture deep into an uncharted island in the Pacific—as beautiful as it is treacherous—unaware that they’re crossing into the domain of the mythic Kong. To fully immerse audiences in the mysterious Skull Island, Vogt-Roberts and his cast and filmmaking team filmed across three continents over six months, capturing its primordial landscapes on Oahu between October and December 2015, and on Australia’s Gold Coast and in Vietnam after a short hiatus over the Christmas holiday season. The project, which was executive produced by Eric McLeod and Alex Garcia and produced by Thomas Tull, Jon Jashni and Mary Parent, proved to be an economic powerhouse for Hawaii. But despite all its virtues, Hawaii would not have been a contender were it not for its stable production tax credit. The cost of production weighs heavily in the deliberations of where a project ultimately decides to shoot. Dillingham Ranch was another location for Kong. Pre-production started three months before principal photography so that massive sets, befitting the film’s title character, could be built. Cameras began to roll in October 2015 and continued through December with two units. The 1st unit shot for 42 days and a sizable 2nd unit shot for 22 days. During that time, over 200 full-time local crewmembers and more than 1,000 local part-time hires, including background extras and day players, were employed by the project. Over 12,000 room nights were booked at various hotels and over 100 local vendors were used throughout the shoot. At one point the production had over 170 pieces of rolling stock across all of its locations around the island. One of the challenges with a large production is being aware of how to work within environmental concerns. But, according to Jones, this is one of the things Hawaii does so well. Another filming location on Oahu, Judd Trail. 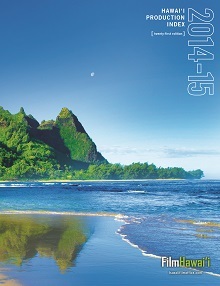 On behalf of the Hawaii production community, we would like to thank the entire production team. We welcome you back anytime with open arms and with much aloha. Kong: Skull Island will be released worldwide in 2D, 3D in select theaters, and IMAX beginning March 10, 2017, from Warner Bros. Pictures, a Warner Bros. Entertainment Company.